Description: plaque, Rectangular wall plaque in acacia wood with bone inlay scene of a house with palm trees under a cloud. Connected by a metal chain below on bottom is a rectangular piece of wood with "PHIL/ArT OF NATUrE" also in carabao horn inlay. 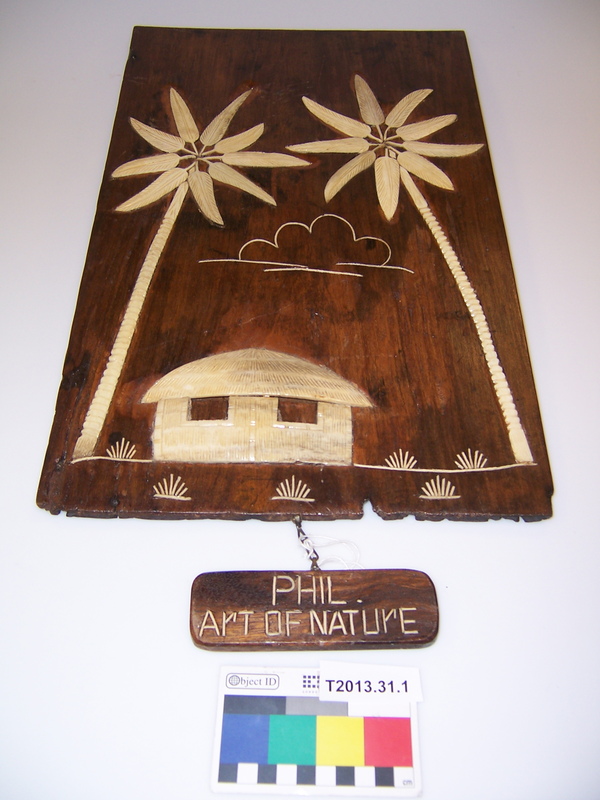 Description: plaque, Irregular-shaped wall plaque in acacia wood with bone inlay scene of trees and a hut under a cloud. Connected by a metal chain below on bottom is a rectangular piece of wood with "PHIL/ArT OF NATUrE" also in carabao horn inlay. Description: plaque, Irregular-shaped wall plaque in acacia wood with bone inlay scene of trees and huts under clouds. 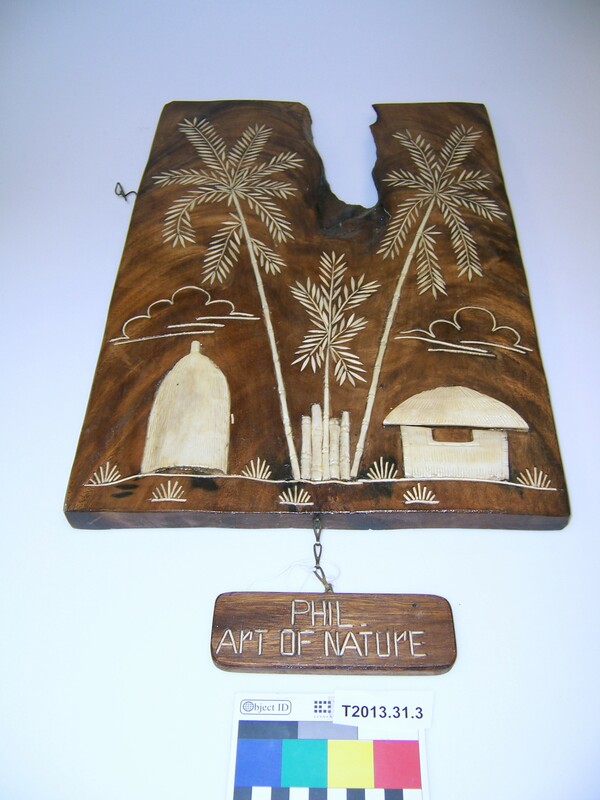 Connected by a metal chain below on bottom is a rectangular piece of wood with "PHIL/ArT OF NATUrE" also in carabao horn inlay.